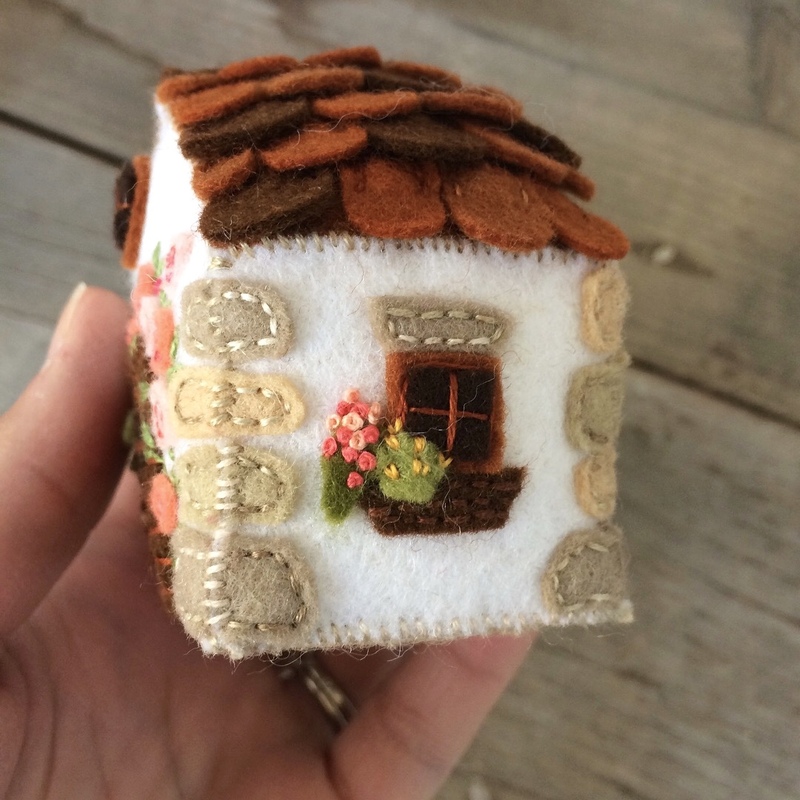 For a while there, I was in a such a creative funk or rut. I had no inspiration, and not the slightest motivation. I hate feeling like that! One of the things I do to help myself is to clean up and/or sort out some of my supplies. I sorted and tidied my fabric stash, being ruthless with fabrics I don't love anymore. Then I emptied the deep drawer that has all my beads and beading tools. I'd ordered some new beads and findings so I found the proper places for those to go and once again, sorted out the beads and other things I knew I'd never use. It felt good! Gradually some fresh ideas began to creep up on me. I pulled out my sketchbook and made notes. 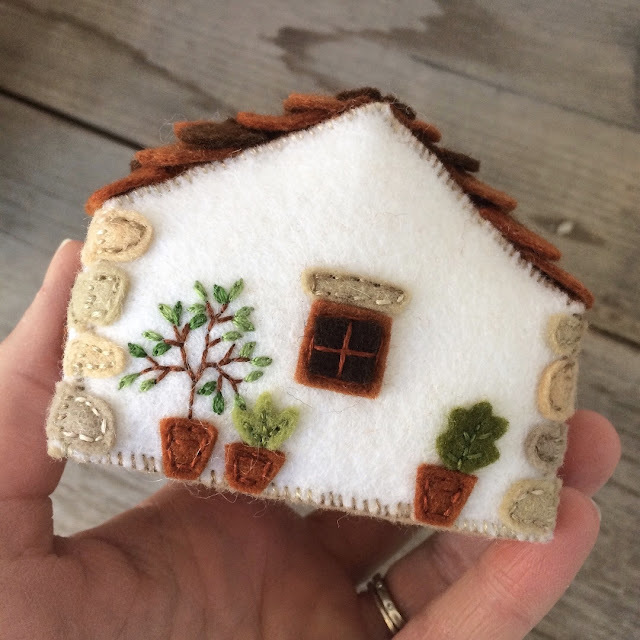 What I was imagining was a little felt cottage, actually a whole village of little cottages, that could be practical as pincushions or just decorative. In my mind, this one was a little white cottage with exposed stone at the corners and a clay tile roof...with roses growing around the door, window boxes and big pots full of plants. 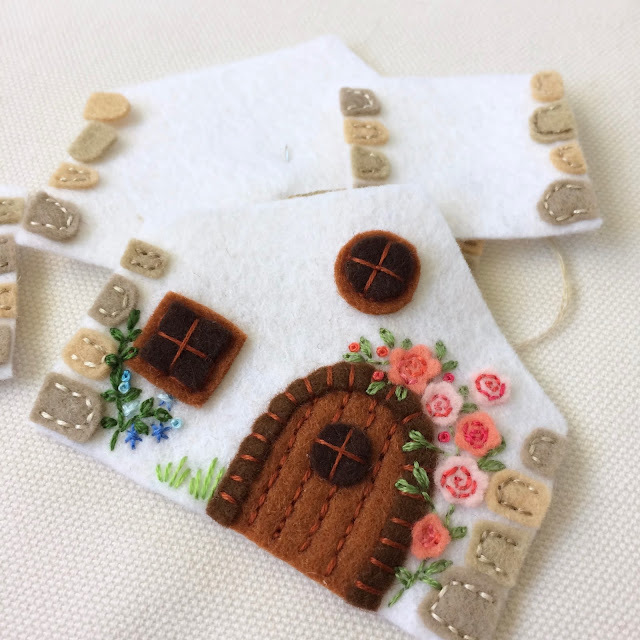 When stitching the stones on the corners, I had to be careful to match up the size and color of the stones with the sides! The door has big, scented old fashioned roses growing round it. 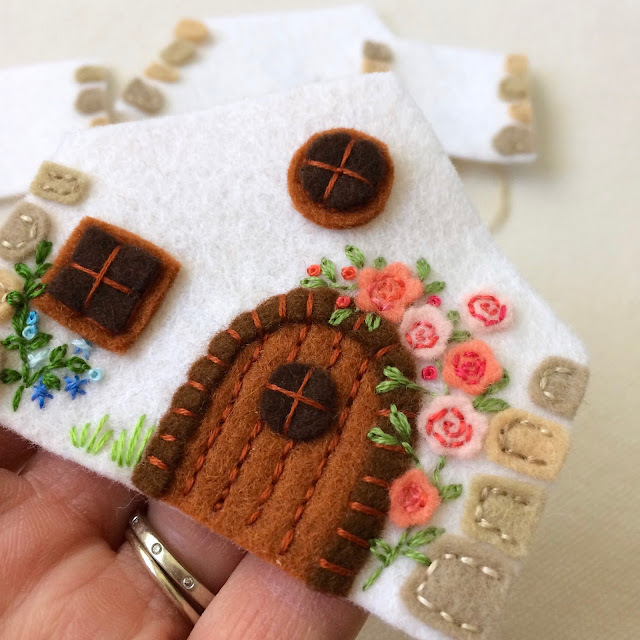 Here is the little cottage without a floor or any stuffing. You can see how the corner stones all match. The side has a window with a window box and round the back are some plant filled pots. To keep the whole thing stable, I added some really thick sew in stabilizer when I added the floor. 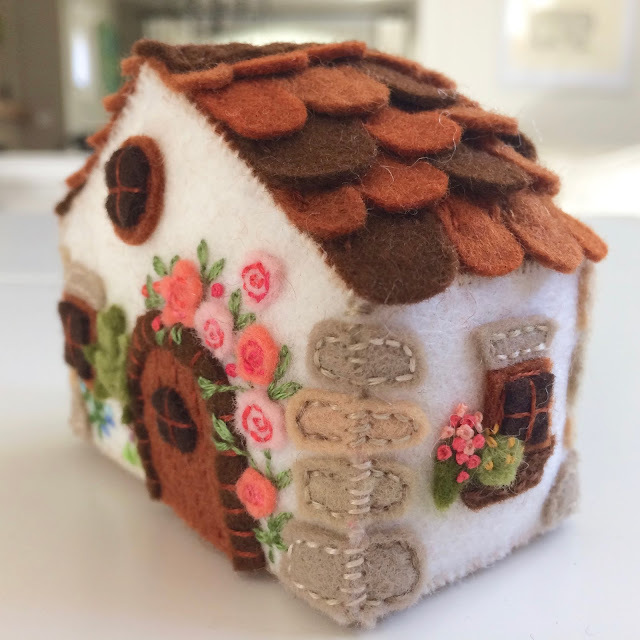 The little cottage was then firmly stuffed with my favorite ultra plush polyfil stuffing. I am really happy with how this came out. 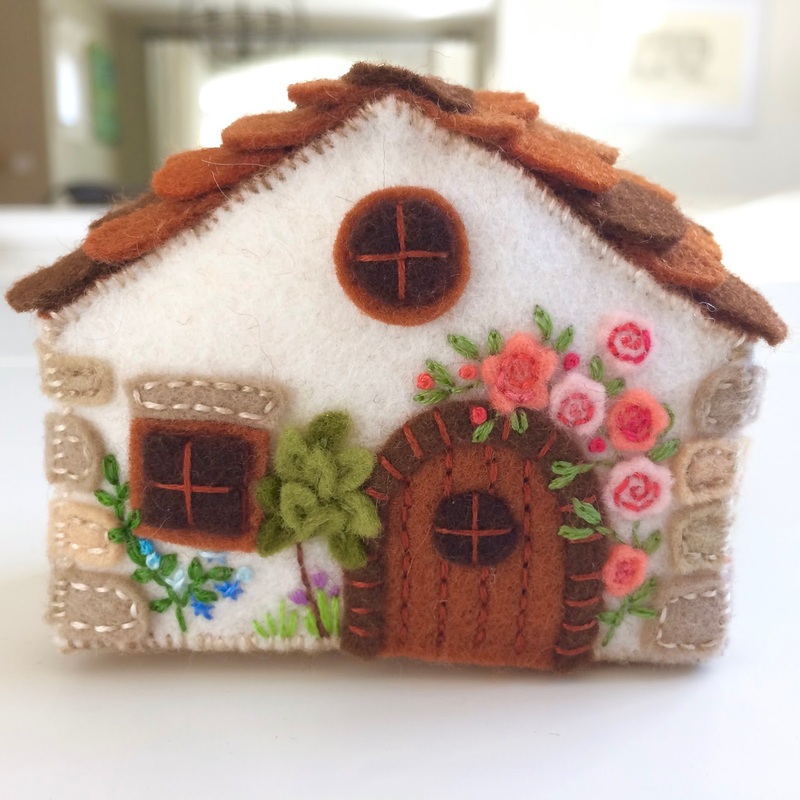 My plan is to make a variety of little cottages before listing them in my Etsy shop. 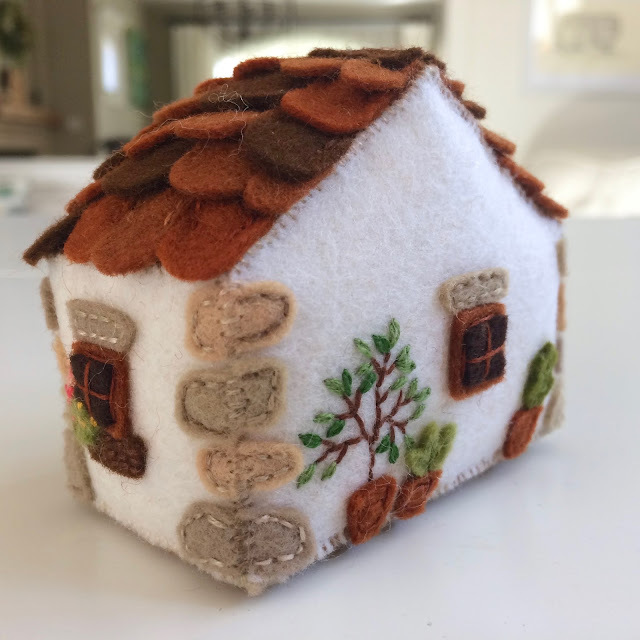 They will be priced a little higher than the other pincushions to reflect the extra time they take. On my coffee table now is a book about the traditional houses of France, another about English cottages and one of traditional houses in the area I grew up in. 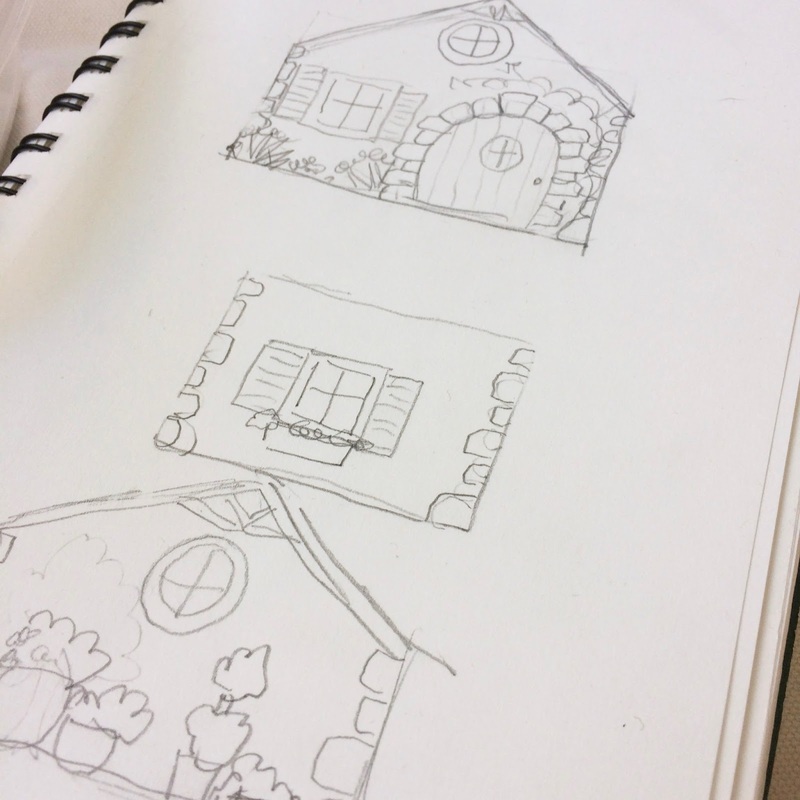 I'm busy sketching and planning!